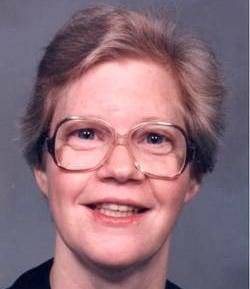 Joyce Ellen Aschliman, age 66 years, of Archbold, passed away Wednesday evening, November 28, 2018, at the Fulton County Health Center in Wauseon. She was born March 20, 1952 at Wauseon, the daughter of Vernon and Alice (Stuckey) Aschliman. A lifelong resident of the Archbold area she was a dietary aid working at Fairlawn Haven and previously worked at Beatrice Food. She enjoyed making plastic canvas, cross-stitching, embroidering and knitting blankets for great nieces and nephews. She was a member of Tedrow Mennonite Church. She is survived by three brothers, Reuben (Beverly) Aschliman of Ft. Collins, CO, Stephen (Jan) Aschliman of Nashville TN, and Calvin (Annie Stewart) Aschliman of Indianapolis, IN; two sisters, Mary Ann (Gary) Eastty of Loveland, CO, and Marlene (Dave) Bell of Columbia City, IN; 12 nieces and nephews; and many great-nieces and nephews. She was preceded in death by her parents; a sister, Carolyn Aschliman; and a nephew. Services will be held on Sunday at 3 PM at Fairlawn Chapel with Pastors Doug King and Ryan Nafziger officiating. Interment will follow in the Pettisville Cemetery. Friends may call at Fairlawn Chapel from 1:30-3PM on Sunday. Short Funeral Home in Archbold has been entrusted with the arrangements. The family suggests that memorials be given to Mennonite Central Committee. Be the first to comment on "Joyce Aschliman (1952-2018)"